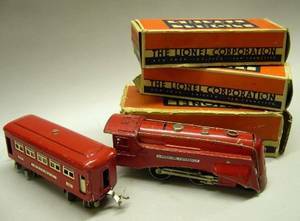 Lionel (circa 1930s), prewar metal O gauge train with red exterior. Engine with identification labels. 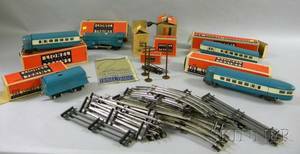 Tender with "LIONEL LINES" on metal tags. 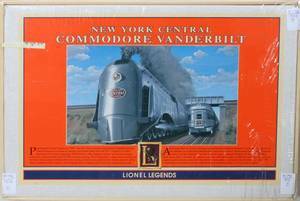 Boxed Lionel Five-Piece "Commodore Vanderbilt"